SUPER BOCK GROUP, headquartered at Via Norte, 4465-764, Leça do Balio - Matosinhos - Portugal, is the entity responsible for the processing of personal data, since it defines the data collected, the means of processing and the purposes for which such data are used. The customer, or potential customer, an individual, to whom the data relate and who uses, or intends to use, the products, services, campaigns or support made available by the companies of the SUPER BOCK GROUP. The representative or point of contact in the company or its employee, in the case of legal persons, who within the scope of performance of a contract or precontractual measure establishes contact with the companies of the SUPER BOCK GROUP. An individual candidate who intends to apply for an employment opportunity or submit a curriculum vitae to one of the companies of the SUPER BOCK GROUP. 2.1. What categories of personal data are processed by the SUPER BOCK GROUP? i) Contact information: such as name, email, telephone number, country, address. ii) Personal information: such as date of birth, age, identification number, place of birth. iii) Educational and professional information: such as academic qualifications, spoken and written languages, computer skills, assessment data and other information in the curriculum vitae. iv) Data from applications, web pages and social networks: such as profiles, location and behaviour. In the case of representatives and employees of legal persons, we only collect the data, such as name, email and telephone, necessary for responding to requests for support, proper contractual performance or the development of institutional partnerships and contacts. We also collect data related to workers of temporary employment agencies and external service providers in a contractual relationship with the companies of the SUPER BOCK GROUP, as well as trainees who carry out their traineeship in the Group. 1. 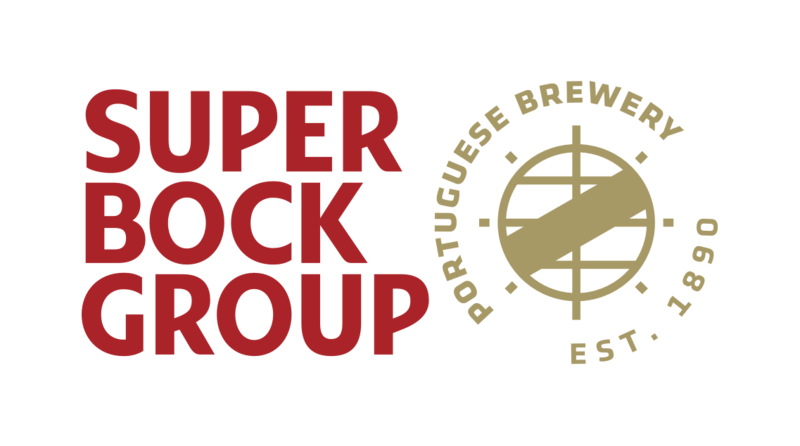 On the SUPER BOCK GROUP website, when you submit a request for contact or support, apply for a job opening, or when you submit your curriculum vitae or apply for a subsequent recruitment process. 2. When you enter into a contract with us within the scope of our activity as a worker of a temporary employment agency or of an external service provider, or as a trainee, and contact us. 3. For marketing and communication campaigns, when you receive institutional and product information. Consent: your personal data may be processed by a clear affirmative act establishing your freely given, specific, informed and explicit indication that your personal data will be subject to processing. For example, we process personal data, based on consent, for a six-month period, of applicants who spontaneously submit their curricula vitae by any chanel of the companies of the SUPER BOCK GROUP, namely, website, email, letter or in person. Precontractual measures and/or contractual performance: your personal data may be necessary for clarification of doubts and for the conclusion, performance and management of a contract entered into with the companies of the SUPER BOCK GROUP. For example, we process personal data for the purposes of conclusion, performance and management of the contract entered into between the customer and the companies of the SUPER BOCK GROUP. Compliance with legal obligation: your data may be necessary to fulfill a legal obligation to which the controller, in this case the companies of the SUPER BOCK GROUP, are subject. For example, we are required to provide information to the Tax Authority to comply with tax obligations. Legitimate interest: your data may be required to perform certain tasks related to the business activity of the companies of the SUPER BOCK GROUP, except in cases where your privacy and data protection rights prevail. Examples: we process personal data based on legitimate interest, including for business monitoring and management; in the context of customer contact; when we need to contact the representative or employee of a legal person in relation to the performance of a contract, institutional communication or in the context of a contract concluded; we also process applicant data on this basis when applications are submitted in response to specific open recruitment advertisement, or when the data is collected in interviews during the course of the recruitment process. The companies of the SUPER BOCK GROUP retain the personal data of data subjects only for the period strictly necessary for the purpose for which they were collected. In certain cases, the law requires the retention of data for a specific period, particularly in the case of data necessary for informing the Tax Authority, which will be stored for 10 years, in accordance with current legislation. We will also store your data for as long as you maintain a contractual relationship with the companies of the SUPER BOCK GROUP. However, we may retain your personal data for longer periods of time based on your consent in cases where there is a legitimate interest of the SUPER BOCK GROUP, always respecting the period necessary for the pursuit of the purpose for which they were collected. In the absence of a specific legal obligation, your data will be processed only for the period necessary to fulfill the purposes that led to their collection, and as long as legitimate grounds exist that permit storage thereof by SUPER BOCK GROUP. i) If you have applied for an ongoing recruitment process, we collect the personal data provided in your curriculum vitae, based on our legitimate interest, in order to respond to the inherent needs of the recruitment and selection process. Therefore, we will keep your curriculum vitae only during the recruitment and selection process to which you have applied. We need you to give us your consent if you wish to be considered for other similar vacancies. With your consent we will retain your curriculum vitae for a six-month period. If you do not provide such consent, your curriculum vitae will be deleted as soon as the vacancy to which you applied is filled. ii) If you wish to submit your curriculum vitae, we will collect the personal data provided therein, based on your consent, for a six-month period, during which we will consider you for any opportunities that arise relating to your profile. Once the maximum retention period has elapsed, personal data will be irrevocably anonymised (anonymised data may be stored) or securely destroyed. The companies of the SUPER BOCK GROUP transmit your personal data only as necessary for the purposes described above. The companies of SUPER BOCK GROUP may disclose and share your personal data between them, exclusively for administrative and internal purposes. Your personal data may also be transmitted to entities, such as the Tax Authority, to which the data must be communicated by law. The companies of the SUPER BOCK GROUP guarantee the applicability and fulfillment of all the rights of data subjects provided for in the General Data Protection Regulation and national legislation in force. You have the right to obtain confirmation that personal data concerning you are processed or not processed, and, where appropriate, the right to access your personal data and information relating to the processing of such data, and, for example, may request an exact copy of your compilation and request additional information about the processing we perform. You also have the right to obtain, without undue delay, rectification of inaccurate personal data relating to you, including the right to correct or supplement your personal data. You may exercise the right to erasure of your personal data without undue delay, provided that: the data are no longer necessary for the purpose for which they were processed; when you withdraw your consent and there are no other valid grounds for storage thereof; when you object to processing and there are no prevailing legitimate interests, as well as in other legally established cases. You have the right to receive personal data relating to you and provided to the companies of the SUPER BOCK GROUP in a structured, current and machine-readable format, as well as the right to transmit this data to another controller (if this is technically possible), without hindrance from the companies of the SUPER BOCK GROUP, where the processing is based on consent or on a contract and processing is carried out by automated means. You may at any time change your consent, restrict it to certain types of processing or withdraw it. However, withdrawal of consent does not hinder the lawfulness of processing on the basis of consent given previously. In certain situations you have the right to obtain from the companies of the SUPER BOCK GROUP the restriction of the processing of your data, particularly if you dispute the accuracy of personal data during a period that allows the companies of the SUPER BOCK GROUP to verify its accuracy, in cases where the data are no longer necessary for processing purposes but which are required by the data subject in order to declare, exercise or defend a right during the course of judicial proceedings and when objecting to processing, pending verification as to whether the grounds for legitimate interest of the companies of the SUPER BOCK GROUP override yours. Nevertheless, if you are not satisfied with our response after exercising any of these rights, you have the right to file a complaint with the CNPD (Portuguese Data Protection Authority, Rua de São Bento, n.º 148, 3º, 1200-821 Lisbon, Tel: 351 213928400, Fax: +351 213976832, email: geral@cnpd.pt). The companies of the SUPER BOCK GROUP make use of appropriate physical, technological, organisational and security measures to protect its personal data in order to protect against dissemination, loss, misuse, alteration, processing or unauthorised access relating to the personal data that are made available to us. SUPER BOCK GROUP has a Data Protection Officer (DPO) who (i) supervises and advises the controller of the obligations under the rules on the privacy and protection of personal data, (ii) cooperates with the supervisory authority and (iii) is the point of contact with the customer, or potential customer, in order to clarify possible questions about the data processing carried out by SUPER BOCK GROUP. Without prejudice to the consultation of this policy on our website, the SUPER BOCK GROUP will inform you of the changes made through the various communication channels used by it. unauthorised processing or access, as well as against any other form of unlawful processing. data and rights regarding privacy and data protection. Super Bock Group has a wide distribution, from north to south of the country. ​This email will be read from 9 am-6 pm Monday to Friday. This data privacy protection statement applies specifically and exclusively to the Super Bock Group service. The Internet is a fabulous tool for communication. Each day we realise how important it is becoming in our life, since with just one mouse click the world is at our feet. People are closer to each other and experiences spread faster. Society is changing incredibly fast. For all these reasons and to increase people’s confidence in this means of communication, it is important for Unicer to guarantee the confidentiality of the data of all users of its services and visitors to its website. When we ask for your name, address, telephone number, qualifications and other details, our aim is to ensure a closer relationship with our users. When you register, we will address you by your own name, we will become closer to you and we will be able to meet your needs or requests more efficiently. Unicer guarantees that this information WILL NOT BE used in any list for promotional purposes via electronic mail or telephone, nor will it be passed on to any other organisation or company. Unicer undertakes to protect your privacy and will make every effort to guarantee the use of sufficiently effective technology for your online experience to be increasingly secure and your web relationships increasingly strong. Please do not hesitate to contact us if you have any question about this commitment.